Heaven and Hell is a second chance at love story (it could easily almost fit into The ‘Burg series) and it packs all the feels with a gripping story of a woman trapped in a brutal marriage. For seven years Kia Clementine had suffered at the hands of a man who had once represented the hope of a good life, the promise of a happily ever after. And when tragedy strikes, it’s a blessing in disguise as she sets off to recover her sense of self after being lost for so long. While sitting down for breakfast, she finds herself next to her longtime celebrity crush, athlete and all-around badass, Sampson Cooper. Fate had given her an unexpected boon, and with the help of a waiter and in the midst of a fury of Italian words she could not comprehend, she is suddenly sitting across from Sampson. It was a wonderful scene—the kind that fill you with glee and anticipation, the kind that makes you giggle and smile and I loved every minute of it. I fell in love with Sampson (Sam) immediately and love the dynamic between these two people. Within minutes of meeting, Kia can’t help but nervously unleash her story to Sam, and something inside of him stirs as well. Kia had been living in hell for so long, that when Sam is able to give her a wonderful, unexpected taste of heaven, she finds herself falling for the man—the real man—behind her crush. He most certainly is a gorgeous, towering, muscled alpha, but one that was kind, irresistible, generous and of course, bossy as heck. Sam helps Kia to heal, slowly, drawing her secrets out, helping her process, showing her that she needs to grasp a good thing when it comes. A beautiful romance begins to blossom and Kia falls hopelessly for Sam, but she soon realizes that Sam, who has given her so much, has not given her everything. He harbors secrets of his own. Secrets he has not revealed. Secrets he refuses to unveil. Suddenly the heaven she’s been living begins to darken, realizing the man she loves has been in a hell he’s yet to share. At a crossroads, Kia must make a choice between having a beautiful slice of heaven or having it all. Is having a wonderful part of someone worth holding on to? 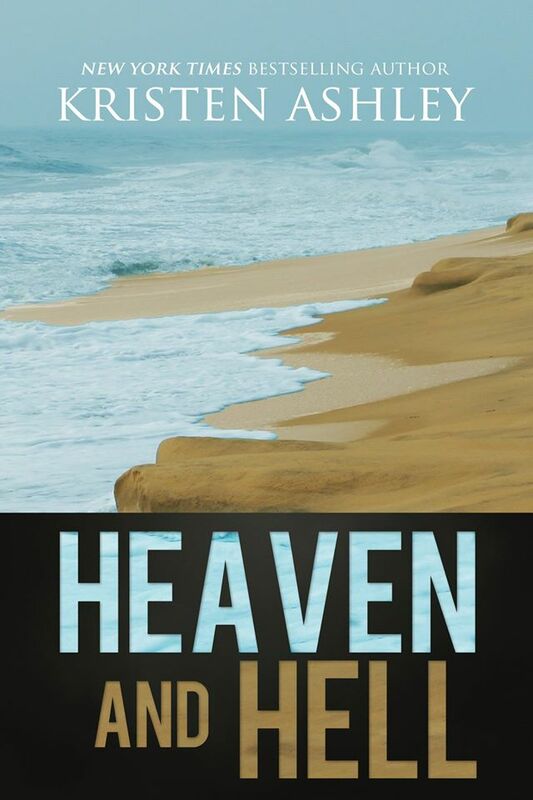 Heaven and Hell is an emotional story of love and loss, as two people grapple with a torturous past and the promise of a future filled with laughs, love, friends and family. And once again, Kristen Ashley delivers an unforgettable story to love and cherish. A definite must-read romance.